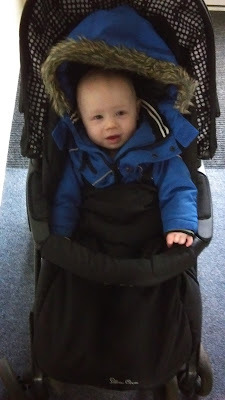 Choosing a buggy can be a daunting task for new to be parent's. You want to make sure that it's suitable for your new arrival but also want something that is also looks good. So with there being so many different buggys, travel systems, pushchairs on the market I wanted to share with you some things you need to think of before parting with your hard earned cash. Your child's needs will differ from age to age for a new born you will need one that will fully lie flat or alternatively you could use a carry cot that attaches. When your baby outgrows you may want them to face you so buying a unit that has a reversible seat means that you can have them facing you or away from you so that they can see the world around them. You may also need to consider if you need a Tandem buggy if you have another child that is close in age and will still need to be using a buggy. This one is a biggy Online4baby has a range of buggys and other must have items for a range of budgets. A complete travel system can be a great investment as you wont need to purchase a separate car seat for your child's first year. But one of the questions you have to really ask yourself when choosing a buggy is can you actually afford the one you have your eye on. - If you travel by car a lot a travel system would be a must but you need to make sure you have a buggy that will fit in the boot of your car and also one where the car seat is compatible. - If like me you go on the bus regularly you will need one that is lightweight and folds away easily. - If you do a lot of walking you will need something that can handle rough pathways and uneven surfaces. -Think about the size of your home and where you will be able to store you pushchair. If space is limited you will need something that folds away small and compact. - Another thing to consider is if you live in a flat how you will be getting it up stairs if you don't live on the ground floor. If like me you need to carry it up the stairs than you will need a light weight one. ah bless thats quite a hood!! This is the best tips on buying a buggy I have seen. Straight to the point. Honestly it's all things that seem obvious when pointed out, but can easily be overlooked. I made a big mistake with my first and the pram was ok for when she was a baby but terrible for when she was older as it was so fiddly.